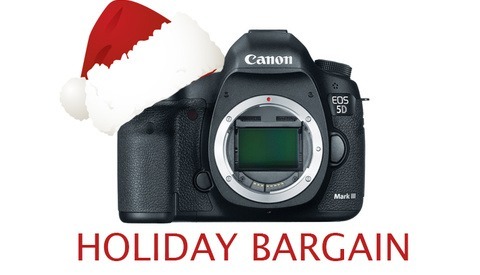 Holiday Deals: Save on the Canon Rebel T3i, Nikon 1 and more! Adorama has some great deals out for this holiday season, taking $100 dollars off the Canon Rebel T3i kit with an 18-55mm IS II lens as well as $400 off of the excellent Canon 70-200mm f/2.8L IS II. If you're in the Nikon camp, they've knocked off $200 off of the Nikon 1 Mirrorless system. If you've been looking to upgrade your video set up and get some higher quality audio, take a peek at the holiday savings for the TASCAM DR-40 4-Track Portable Digital Recorder. B&H is offering the fantastic price of $139 plus a $15 rebate. Although online ordering is unavailable till tomorrow afternoon, you can still stick it your cart for later. Amazon is also offering a deal, though not nearly as enticing. B&H has just announced their Black Friday deals that end on Saturday. They're offering some awesome discounts on the Nikon D7000 (a whopping $500 off!) and the Lowepro Pro Roller Attache X50 Case (Now only $70) as well as dozens of other items so if you're looking for a gift for someone special, buying some much needed gear or just buying yourself a cool new toy, this sale covers a big range of products and will definitely have something you're looking for at a great price. To see all of the great deals available from B&H, click HERE. 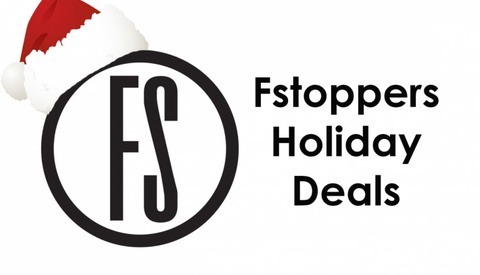 Or look below for a few of our favorite deals. 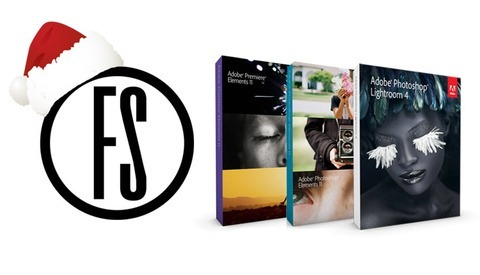 Adobe is having a sale at their online store for Photoshop Lightroom 4, Photoshop Elements 11 and Premiere Elements 11. Lightroom is discounted down to only $199, while the Elements are only $60 each. You can also grab both elements programs as a bundle for only $90. All great bargains, but only until November 28! Over the next few weeks we're going to be bringing you some great deals from B&H, Amazon and other online retailers. Today's deal runs through November 24th and is an automatic $400 discount on Canon 5D Mk II bodies, you can also get the same discount on the 5d MK II bundled with the Canon 24-105mm f/4L IS USM AF Lens. Ah... tis the season of giving! Last week we introduced you to some great gift ideas under $100. We are continuing our Gear Guide this week with ideas that cost just a bit more. 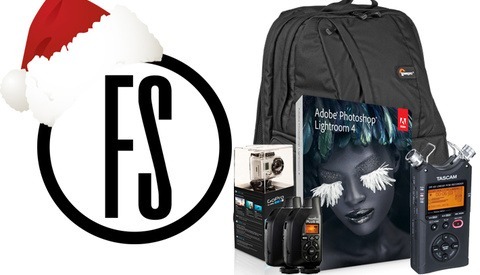 For those of you who have a little bit of a budget and you want to make sure you're spending it wisely, we wholeheartedly support that endeavor with these fantastic gift ideas that will keep you under $200 but still put a big grin on your favorite photographer's face. Right now, the Canon 5D Mark III is on sale on Ebay for $2,886, which is $400 less than other retailers even after the current $200 instant rebate. If you missed your chance to buy Canon before they cracked down on MAP pricing and are kicking yourself, it looks like you just got another chance. If you're shopping for the perfect gift, this is a great chance to grab it while it's discounted. 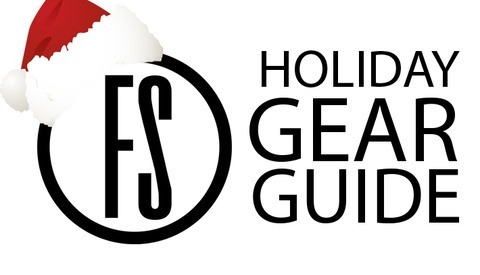 The Fstoppers Holiday Gear Guide: Time to Get Ideas! It's becoming that time of year again, and we photographers are difficult to buy for. There is just so much in the market, it's hard to know what we will love. Not to worry, Fstoppers is here to help. Not only are we compiling a list of the best stuff for photographers, we break it down by price so you don't break the bank. Over the next few weeks we will be releasing updates to our Holiday Gear Guide, first starting with the lower-cost items and working our way up to the premium stuff. This week, let's look at the best ideas under $100.